DELIGHTFULLY LARGE 3 BEDROOMED PER WAR DETACHED HOUSE which offers SUPERB BAY FRONTED ACCOMMODATION with many TRADITIONAL FEATURES. 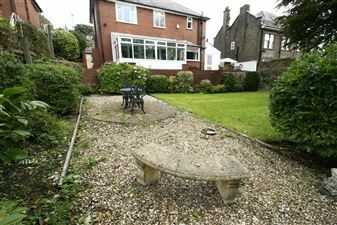 The property which has 2 RECPTION ROOMS, also has a large CELLAR which could be converted, along with CONSERVATORY to the rear which is complimented by the WELL STOCKED, BEAUTIFULLY PRESENTED GARDENS. 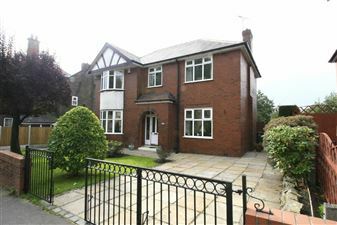 Situated in a CONVENIENT LOCATION close to all local amenities, with good access to Rochdale Town Centre and with well regarded primary schools close by. 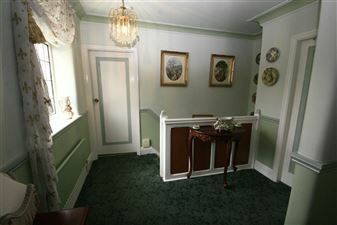 The ACCOMMODATION COMPRISES an ENTRANCE HALLWAY with ornate glass panelling in the front door and tiled floor. The LOUNGE has a fitted fire place with surround and marble hearth. 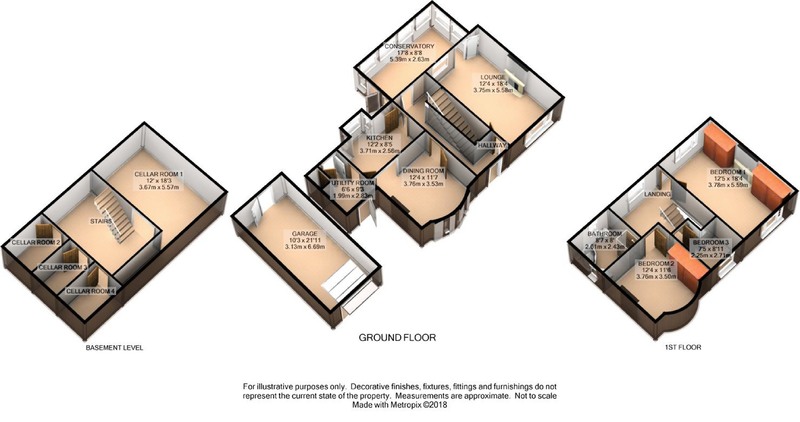 The DINING ROOM to the front of the property has a large bay window and treated wooden floors. The KITCHEN which is fully fitted with modern units and worktops has single drainer sink unit built into the bay window overlooking the garden. 5 ring gas hob with extractor fan over, built in waist level double oven & grill and part tiled walls. 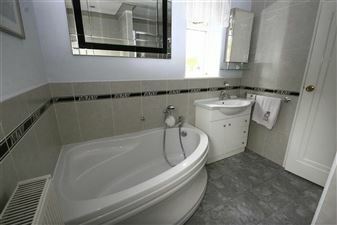 The UTILITY ROOM with SEPERATE W.C and wash hand basin also houses the central heating boiler and has plumbing for automatic washing machine with fitted storage cupboards. 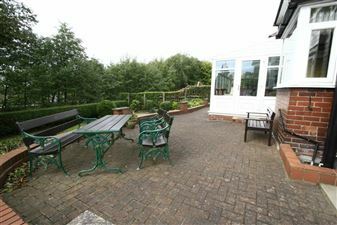 The CONSERVATORY to the rear of the property can be accessed by both the hallway and the lounge. There are significant CELLAR rooms extending under the property with a staircase off the main hallway. 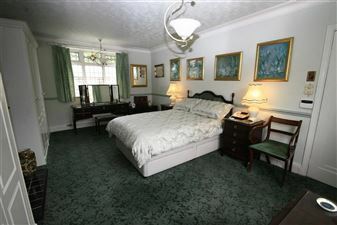 To the FIRST FLOOR the LANDING gives access to the MAIN BEDROOM with fitted robes and ornate fireplace. 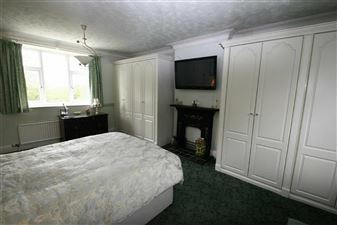 There are two further bedrooms both with fitted cupboards/robes. The modern BATHROOM has a w.c, wash hand basin and corner bath with a separate double shower cubicle, part tiled walls and tiled floor. 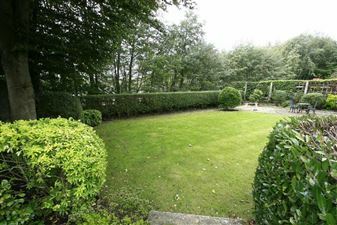 OUTSIDE the property boasts large private gardens to the front and rear which are lawned and bordered, well stocked and beautifully manicured. To the front there are two driveways one of which leads to a detached single garage. To the rear there is a sun patio immediately off the conservatory. 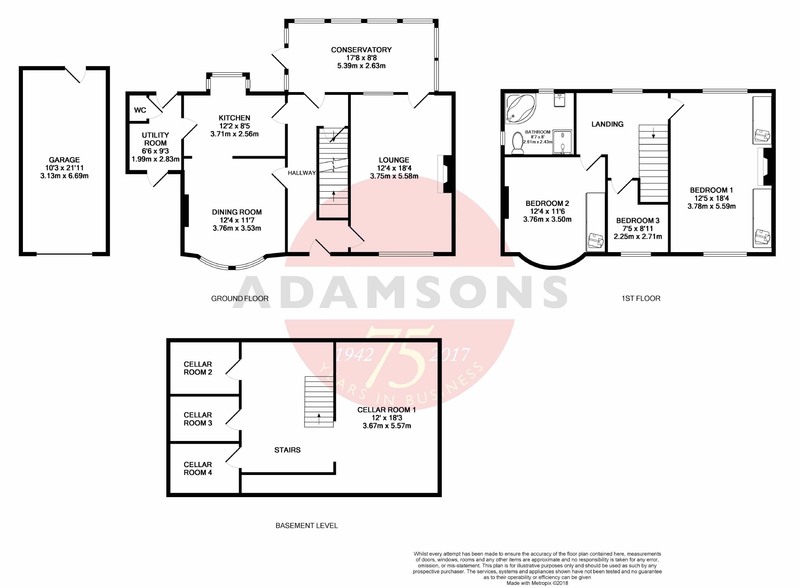 We understand that the property is FREEHOLD as no ground rent has been paid by the current owners, however, this should be confirmed by solicitors. The property was built in approx. 1936. ALL MAINS SERVICES ARE CONNECTED. The property is heated via GAS CENTRAL HEATING. 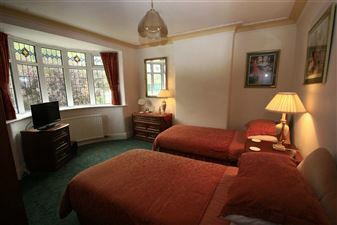 There are DOUBLE GLAZED windows throughout the property. COUNCIL TAX BAND 'E'. EPC RATING 'D'.